Click here to visit the Hack Mechanic Online Appendix! 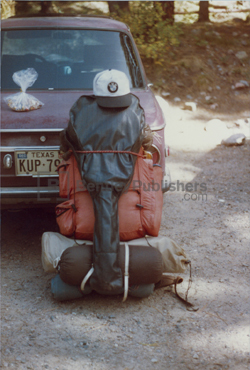 Click here to follow the Hack Mechanic story on Facebook! 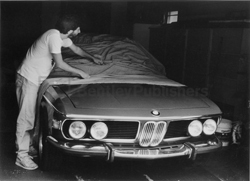 For over 25 years Rob Siegel has written a monthly column called "The Hack Mechanic" for the BMW Car Club of America's magazine Roundel. 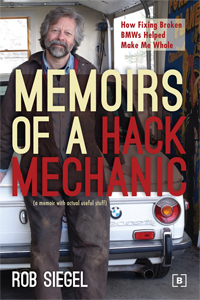 In Memoirs of a Hack Mechanic, Rob Siegel shares his secrets to buying, fixing, and driving cool cars without risking the kids' tuition money or destroying his marriage. And that's something to brag about considering the dozens of cars, including twenty-five BMW 2002s, that have passed through his garage over the past three decades. 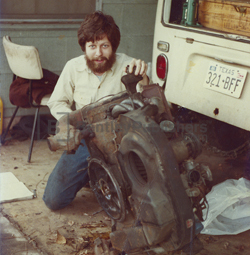 Visit Rob Siegel - "The Hack Mechanic" online at www.robsiegel.com. 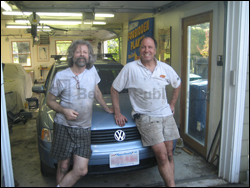 Rob Siegel (left) in his garage with fellow recreational mechanic Alexander Wajsfelner after a satisfying day of wrenching.